The more you walk, the more it grows. 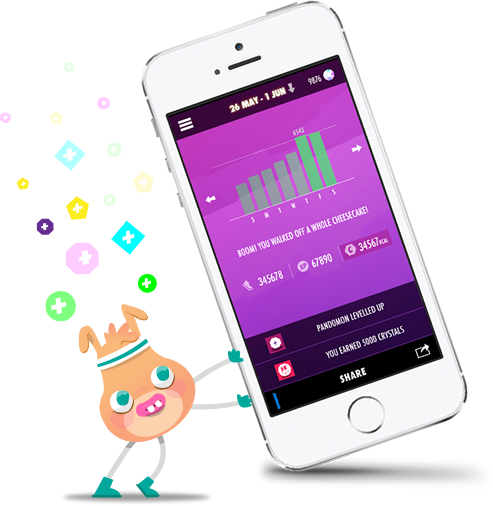 The Wokamon app combines the function of a pedometer with the engagement of a virtual pet. Every single step you take helps feed your little Wokamon friend. The more active a user is, the more their Wokamons grow and thrive. Find out what you can do with Wokamon. Our simple one-click tracking measures your activity throughout the day. Checkout your stats daily or go through your weekly activity to see if you managed to walk off that sinful cheeseburger. If you already use a fitness tracker, simply sync your activity in the app and off you go. 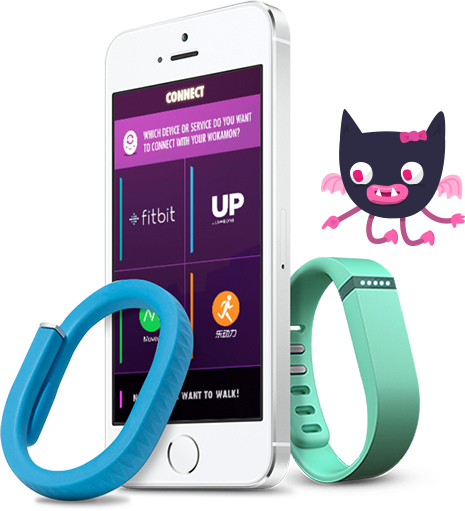 We’re currently compatible with Fitbit, UP by Jawbone, Moves and LedongLi. Watch this space for more. Every calorie you burn feeds your virtual pet and unlocks more fun characters to play with, with more added every season. Collect them all! Everything is more fun with friends. Earn extra rewards when you play and share Wokamon with your friends on your favourite social networks. ..& turning energy into happiness! ... and they stopped moving. this made everyone super weak and terribly sad. so they went in search of new friends for a source of energy. and they need you to keep moving to survive. Start tracking your activity with the app and feed the Wokamons!